A passenger plane lands at the John F. Kennedy international airport. Lower air fares, better on-time performance, fewer lost bags and fewer passengers being bumped from over-booked flights have all contributed to the airline's better customer satisfaction ratings. This time, it's a family getting kicked off a JetBlue flight because of a dispute with flight attendants over where they stored the birthday cake they brought on board. A video posted by The Washington Post and other outlets shows a young boy crying as a Port Authority police officer tries to reassure him. The airline says the passengers had become "agitated, cursed and yelled at the crew." But would you believe that despite this and other recent incidents in which airline employees appear to mistreat passengers, customer satisfaction overall with commercial airlines is at an all-time high? It's true. According to the annual 2017 North America Airline Satisfaction Study by market research firm J.D. Power, overall customer satisfaction with airlines is up for the fifth consecutive year and has reached its highest level ever in the 13 years the company has been conducting the survey. Lower airfares, better on-time performance, fewer lost bags and fewer passengers being bumped from overbooked flights have all contributed to the better customer satisfaction ratings. J.D. Power interviewed about 11,000 travelers about their experience with airlines between April 2016 and March 2017. That's before several videos of passengers' negative experiences with the airlines went viral, but the survey still offers a window into passengers' day-to-day experience with the airlines. It rates the carriers on issues such as cost and fees, comfort of seats, on-time performance and losing luggage, among other measures. Those measures are weighted based on their importance to the traveler on a 1,000-point scale. And for 2017, the airlines collectively scored 756, up 30 points from last year. "One of the biggest weights on satisfaction is actually your ticket price, how much value you think you're getting for your money," said Taylor. "And that's been improving year over year." 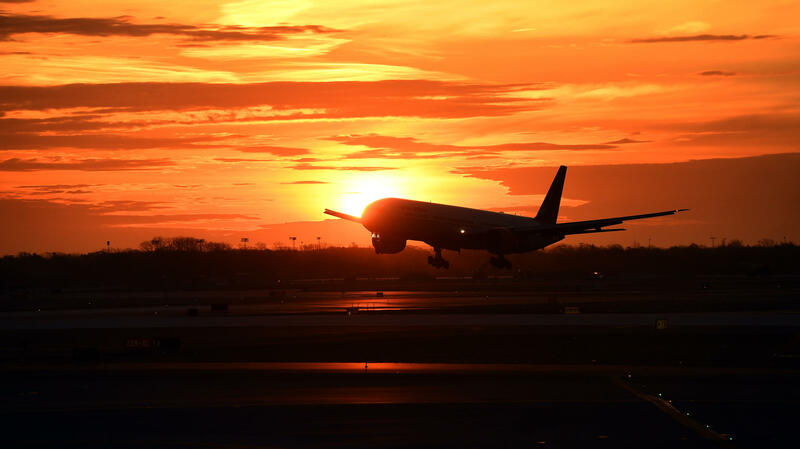 The average North American airfares fell 8.5 percent in 2016, to $349, and even when adding in travelers' distaste for fees for checked baggage and other extras, most people are quite happy with the cost of air travel these days. "It's been the highest satisfaction level that we've ever recorded in the 13 years we've been doing this study," Taylor said. Another driver of passenger satisfaction is in-flight entertainment, which Taylor says is getting much better than in years past. "You can surf the net, you can check your email, you can download a movie, you can watch a movie on demand ..." he said. "And that kind of thing makes your whole airline experience a lot more pleasant because you're passing the time being entertained rather than staring at several hundred other passengers in a small metal tube flying in the air." To be sure, airline passengers still have plenty of complaints. Number one is comfort of the seat, as the seats and the distance between them get smaller and airlines pack more rows of seat onto planes. The second biggest complaint is a lack of space for carry-on luggage in the overhead bin. And even though the involuntarily bumping of passengers is reaching historic lows across the industry, bumping tends to create the greatest negative influence on customer satisfaction. Incidents of passengers getting bumped off planes have also earned the airlines the negative press lately. Though the airlines are doing better overall, "they still have a long way to go," said Taylor, who notes airlines still "rank very far below some of the travel (industries) we measure for customer satisfaction, such as hotel experience and your rental car."